TWO MEN HAVE been released on bail after appearing in court in connection with the assault of a Laois inter-county GAA player in Carlow in the early hours of Monday morning. Daniel O’Reilly was left with serious head injuries following an assault in the Potato Market area of Carlow town at about 1am on Monday. O’Reilly was taken to St Luke’s General Hospital in Kilkenny where his injuries are described as serious. The two men, both in their 20s, were arrested on Tuesday. They were being detained at Kilkenny and Thomastown garda stations under the provisions of Section 4 of the Criminal Justice Act 1984. They appeared before Carlow District Court at 10.30am this morning. The men were subsequently released on bail and are due to appear before Carlow District Court again on Wednesday, 2 May. On Tuesday, Graiguecullen GAA released a statement saying the club was “heartbroken and devastated” by the news of the assault. “Our thoughts and love are solely with Daniel and all his family right now. The matter is under investigation, so please respect your authorities,” the club said. Gardaí in Carlow are appealing for witnesses to contact them on 059 913 6620 or the Garda Confidential Line on 1800 666 111. 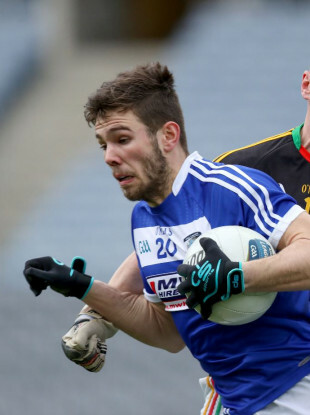 Email “Two men released on bail after appearing in court over assault of Laois footballer Daniel O'Reilly”. Feedback on “Two men released on bail after appearing in court over assault of Laois footballer Daniel O'Reilly”.